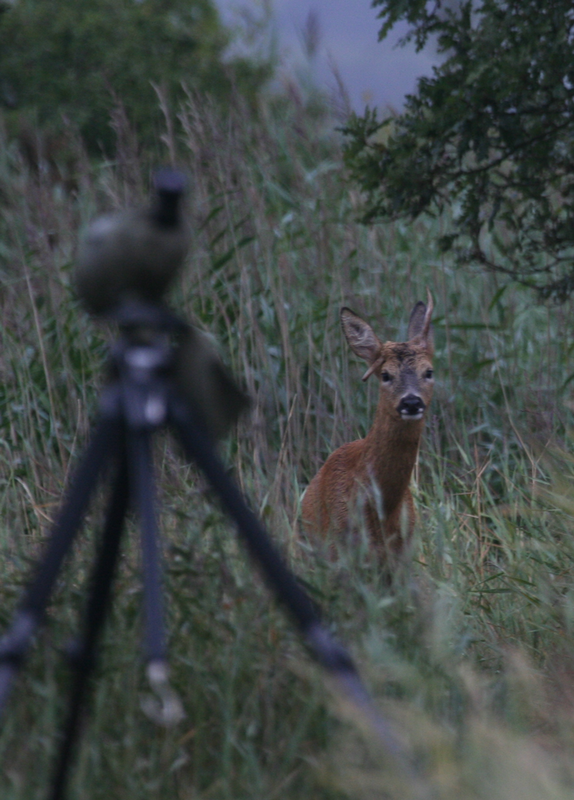 This Roe Deer buck seems to be wondering why my tripod is blocking his route. Note the broken antler. 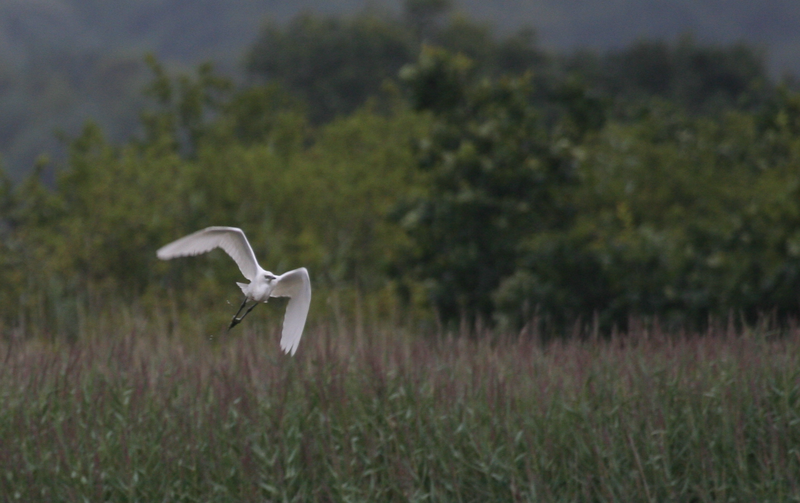 It was a cool, blustery and rather wet visit to Lytchett Bay this morning. No sign of the hoped for Wood Sandpiper, the best I could do was 12 Little Egret in the far fields and 2 Green Sandpiper over Holton Lee. Ther was a large gull roost on Otter Island which included at least 2 adult Yellow-legged Gulls, several Common Gulls as well as both black-backs, Herring and Black-headed. The rest of the day was taken up with appointments, shopping and a visit to the gym.